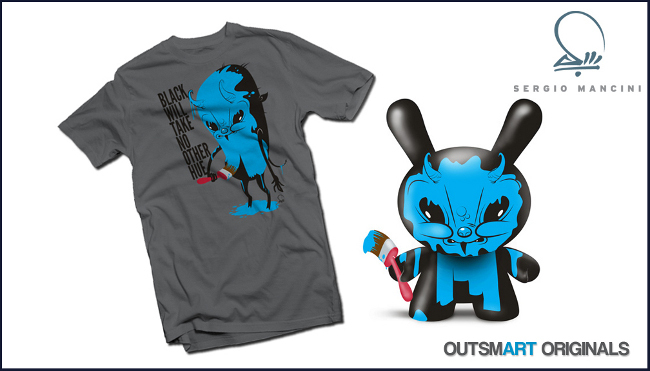 Black may not take any other hue, but one lucky customer is going to score big with outsmART originals current release! The Black T-shirt by Sergio Mancini is available for pre-order from November 27th through December 3rd exclusively at www.outsmartoriginals.com. Limited to only 200 shirts and everyone who purchases a shirt will be entered into a random drawing for a chance to win THE BLACK an 8" CUSTOM DUNNY by SERGIO MANCINI! Our shirts will be the screen printed on 100% cotton American Apparel Fine Jersey t-shirts and is available in a variety of sizes for both women and men (up to 3XL). Only $25.00 and shipping mid-December, the shirts will be just in time for the holidays. Fans and collectors shouldn't pass up this opportunity at a chance to win a customized 8" Dunny by the artist himself, while supporting his first apparel release! BBTS Exclusive - Dark Energon Deluxe - In Stock Now! $200,000 grant and toy donations inspire hope for abused and neglected children across the U.S.
NEW YORK, Nov. 20, 2012 -- The Toy Industry Foundation (TIF) has announced a new national partner, CASA for Children (CASA), for 2013. In communities across the country, CASA's highly trained volunteers provide one-on-one advocacy for children in the foster care and family court systems. Appointed by a judge, CASA volunteers fight for and protect a child's right to be safe, to be treated with dignity and respect, and to learn and grow in the safe embrace of a loving family. Thanks to a $200,000 grant and ongoing toy donations from TIF, CASA will expand its network of volunteer advocates serving more than 234,000 foster children in 2013. The partnership also aims to provide kids with stability and emotional support by helping CASA volunteers bond with children through toys. November 29, 2012 - Listed below are the toy (and child-related) recalls from this week; these links go to the official announcements on the Consumer Product Safety Commission web site. This new assortment includes two each of Captain America and X-Force Wolverine, and one each of Hyperion (or Sentry), Protector, Archangel (or X-Force Archangel) and Red She-Hulk (or Lyra). The names in parentheses will likely be running changes, and this assortment is rumored to contain a Hit Monkey Build-A-Figure. The Case of 8 is listed at $124.99; we also have them as a Set of 6 for $114.99, and singly at $14.99 - $24.99 each. 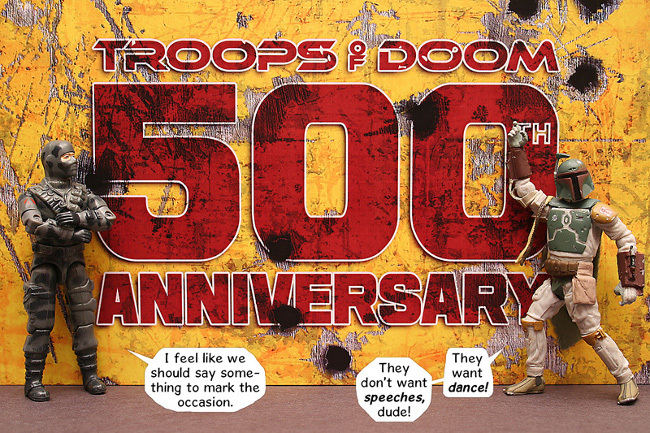 November 28, 2012 - This Wednesday, Troops of Doom comic will reach 500 episodes. 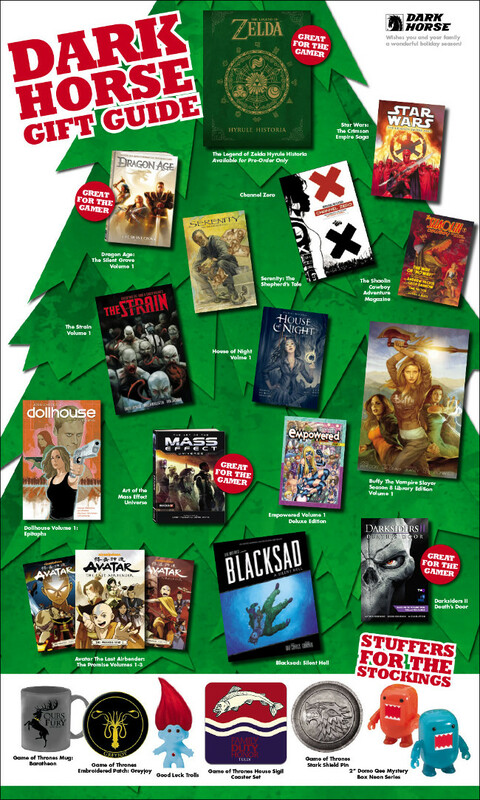 Stop by for multiple "Become a Troop of Doom" contests where readers can have a character named after them and have a recurring role in the comic. San Francisco, CA, November 27, 2012 - VIZ Media, LLC (VIZ Media), the largest publisher, distributor and licensor of manga, graphic novels and anime in North America, has announced a publishing deal with Pretty Ugly™, LLC, the official licensors of the popular Uglydoll® brand, to develop a brand new series of original graphic novels based on the bestselling plush character toys. 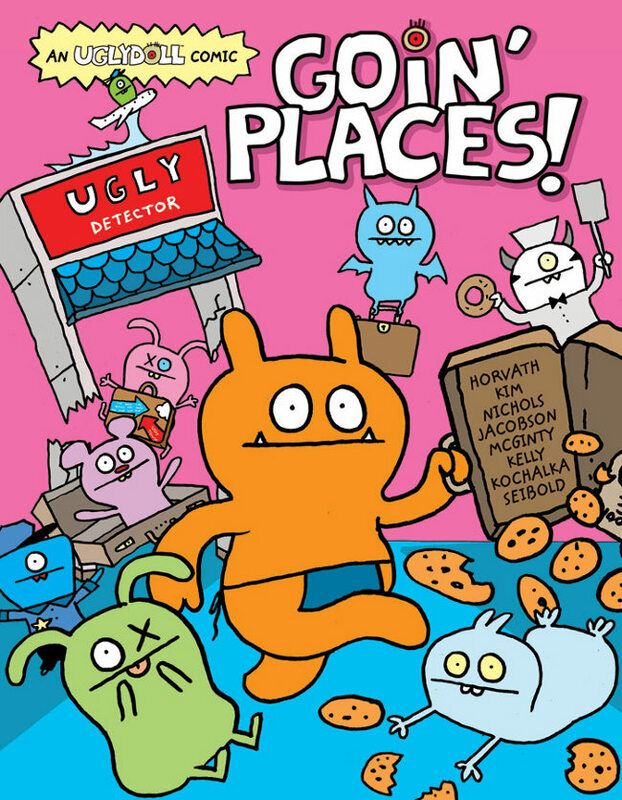 The Uglydoll series is scheduled to launch Summer of 2013 under the VIZ Kids imprint, and will carry a rating of 'A' for All Ages.